January 30, 2019 Metro Exodus will return to Steam and other platforms after its timed exclusivity period on the Epic Games store. Technically, that could mean any date from February 15, 2020 until the end of time, but more likely it’ll be exactly one year after the Metro Exodus release date. This sort of press release is typically the domain of journalist email inboxes, but you can see a web version over on Gamasutra. Curiously, the FAQ on the official site covers some of the same points, but makes no mention of the exclusivity being timed. All existing Steam pre-orders will be honoured, and “Steam owners will be able to access the game and any future updates or DLC” without issue. The game will be available for a slight discount in North America through the Epic store, launching at $49.99 / £49.99 / €59.99. Once February 15 hits and Exodus is upon us, the PC version of the game will be on sale “solely through the Epic Games store.” Deep Silver CEO, Dr Klemens Kundratitz, says that the storefront’s 88/12% revenue split is “a game changer,” that’s likely to have impacted the publisher’s decision. Kundratitz also says that “by teaming up with Epic we will be able to invest more into the future of Metro,” potentially suggesting that a sequel to Exodus is on the cards. It’s early days on that front at this point, of course, but it’s encouraging to know that another game might be a possibility. The move follows that of Ubisoft, which recently confirmed that The Division 2 will also release on the Epic store, abandoning its release on Valve’s platform. The company also stated that more of its games will release through Epic, with “additional select titles” to be announced later this year. 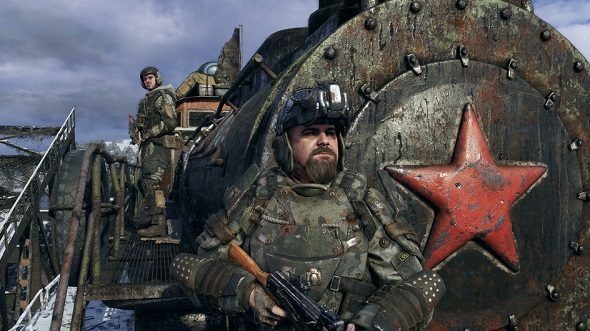 As mentioned above, the crew of the Aurora will be leaving Moscow station relatively soon, and you’ll be able to get your hands on Metro Exodus in a couple of weeks’ time – you might want to make sure you have the Epic store installed before you do, however.